ATLANTA – The culmination of a very contentious political cycle, which led to the eventual election of Donald Trump as the 45th President of the United States, spawned an entirely new era of activism. If the sheer numbers of attendees at the Women’s March on Washington and across the United States are any indication of success, the March for Science and its supporters will follow their lead and hit the pavement while raising their voices across the United States and abroad on Earth Day April 22. This particular civil resistance was born in part as a reaction to the president’s positions on the environment, reduction of scientific funding and censorship of certain agencies, including the Environmental Protection Agency, Department of Agriculture and Interior Departments. 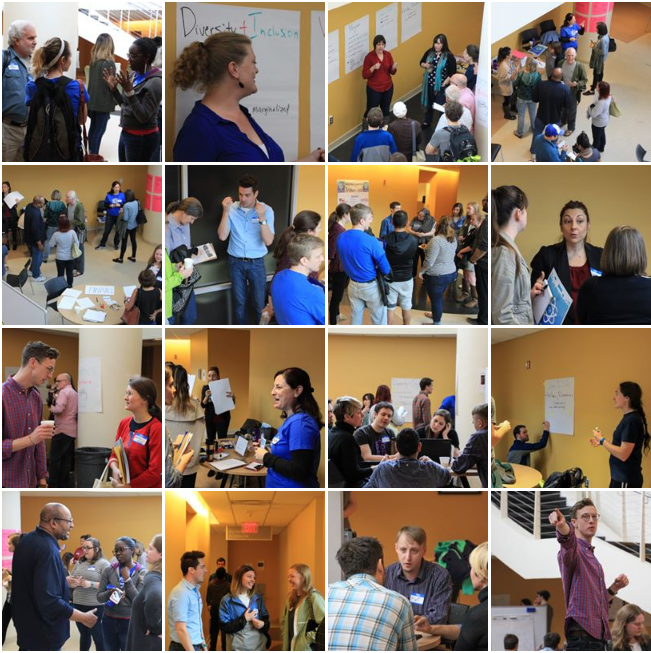 As of March 14, the national movement has grown to over 60 organizations, and 400 satellite marches in 37 countries. 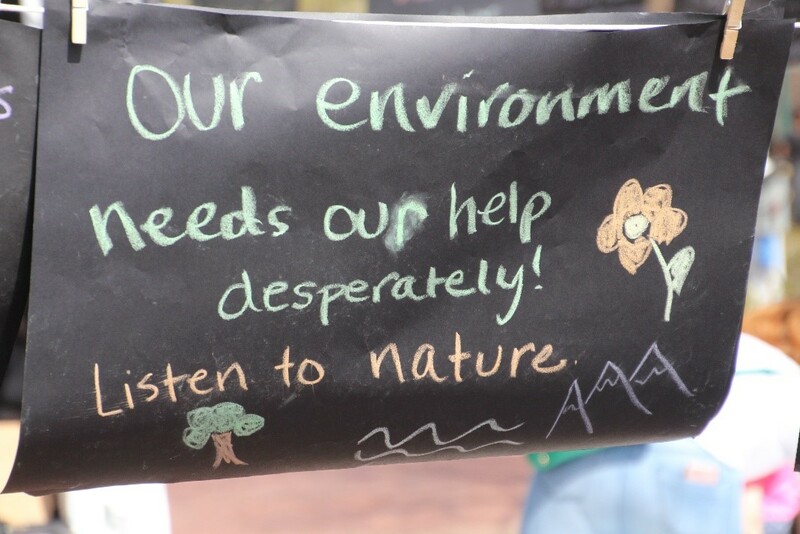 One of those satellite marches, which had a packed room of over 300 concerned citizens and scientists at their organizing meeting alone, will take place at Candler Park near downtown Atlanta. “This march means so much to me because science means so much to me,” says Jasmine Clark, who has a Ph.D. in Microbiology and Molecular Genetics and serves as a lecturer at the Emory University School of Nursing. Clark was elected as the executive director of the March for Science Atlanta. Within a short distance from Atlanta’s city center are three major research universities, the Centers for Disease Control and numerous companies who specialize in nearly every scientific venture from biological to technological. The city has gone out of its way to grow and attract these companies and bring their high paying jobs along with it. However, there is growing concern and unease amongst the scientific community in Atlanta with the current administration. Funding in particular, or lack thereof, has many in the scientific community especially unnerved. 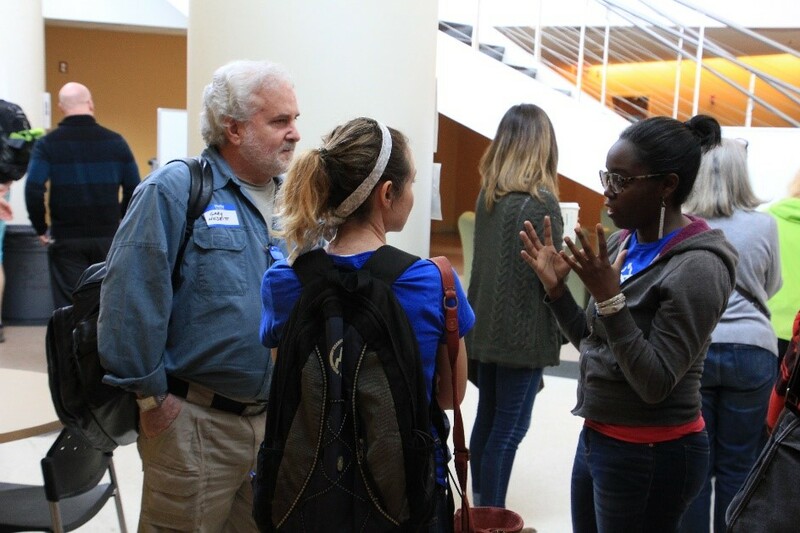 “We’re extremely concerned,” said Jarred Whitlock, who is researching new methods to repair muscles to treat those who suffer from Muscular Dystrophy at Emory University. He along with nearly 600 others from Emory plan to march in Atlanta. The NIH only spends 10 percent of its $30 billion budget internally. More than 80 percent of the institute’s budget are distributed to nearly 300,000 different organizations to fund research outside the NIH according to a report by The Washington Post. Under President Trump, the NIH could see as much as $6 billion in cuts to its overall budget. The EPA will be facing the deepest of cuts by Trump at nearly 31 percent. Those funds will be diverted to increase funding for the Department of Defense, Department of Homeland Security and Department of Veterans Affairs. The ripple effect of these cuts could be devastating to research which saves and improves the quality of life that science looks to achieve. While the march intends to send that message to the current administration, some believe the best way to get that message to the president needs to start with a grassroots campaign to a larger audience. 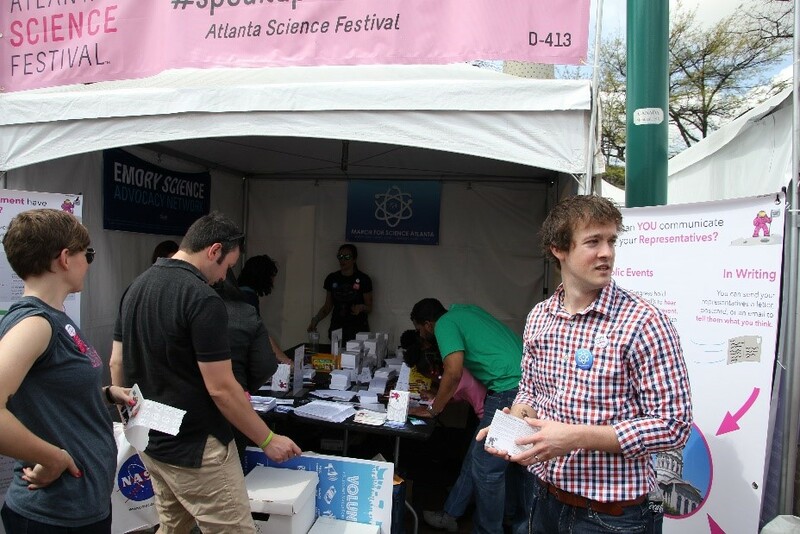 “I don’t think people understand how much science plays a part in their lives,” said Kaitlin Tag, a microbiologist studying antibiotic resistance, or superbugs, and a volunteer at the Atlanta Science Festival at Centennial Olympic Park. Tag, who is originally from Australia, intends to participate in March for Science when she returns to Sydney. Those who support the march feel the Trump administration undervalues science where Americans “face a possible future where people not only ignore scientific evidence, but seek to eliminate it entirely” according to the March for Science mission statement. Those who champion the voice of science will band together, much as they did for the Women’s March on Washington, in an attempt to reach a political presence who appears deaf to scientific fact and progress. 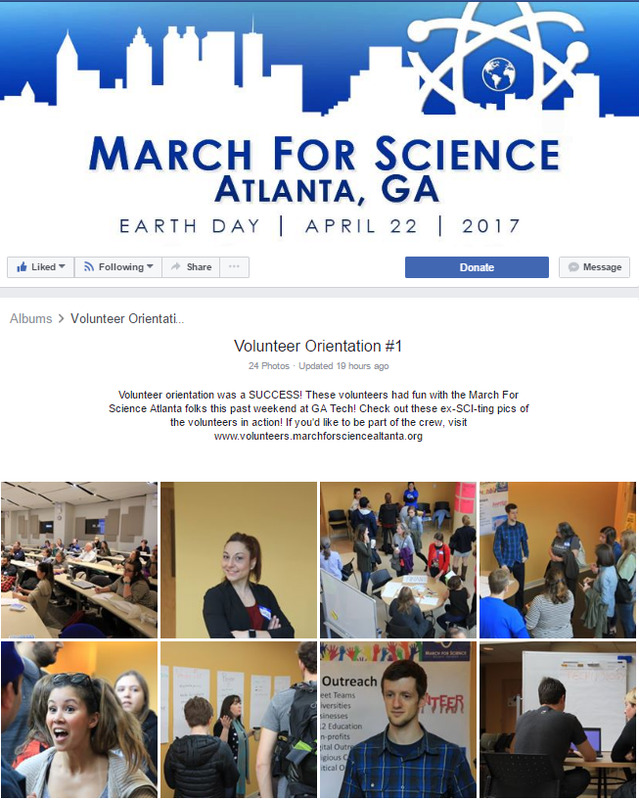 March for Science Atlanta asked me to take photos of their Volunteer Orientation on March 18, 2017. 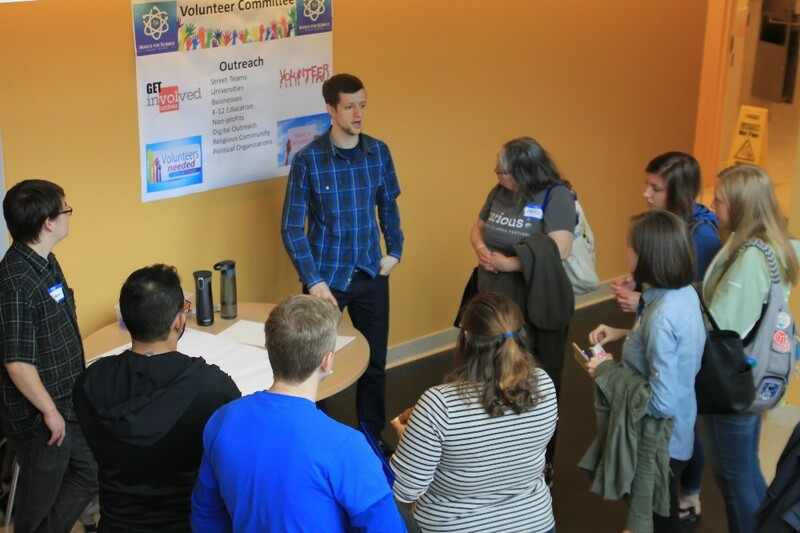 The photos were posted to their Facebook page to promote the success of the event and engage others to volunteer.